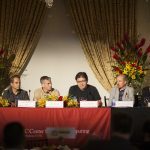 Thursday, May 10th was a great success for IMSC and Information laboratory (InfoLAB) at the University of Southern California. 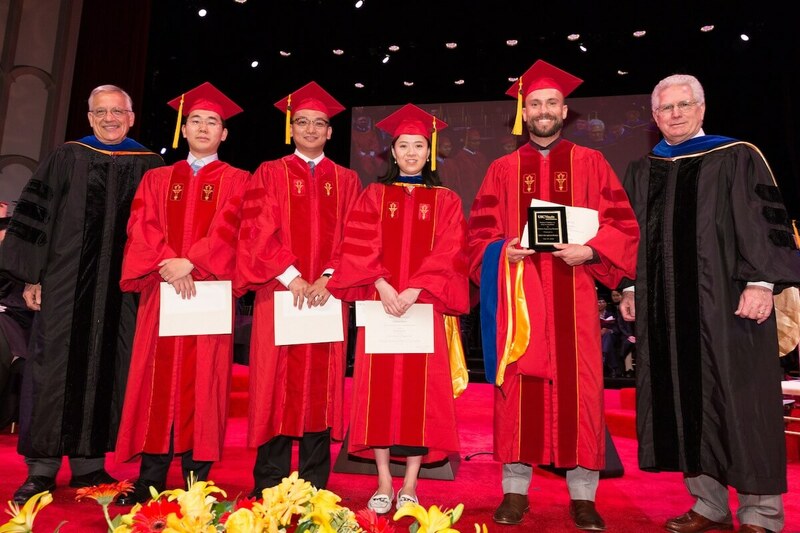 At the 2018 USC Viterbi Ph.D. Hooding and Awards ceremony, 160 newly Ph.D.s were hooded at the USC Viterbi School of Engineering. Under the direction of professor Cyrus Shahabi, Mohammad Asghari and Ying Lu were hooded at this event. Ying’s thesis tackles the challenges of large-scale mobile video (e.g. smartphone videos, drone videos) data management by leveraging their corresponding geo-metadata. Mohammad worked on On-line Task Assignment in Spatial Crowdsourcing. 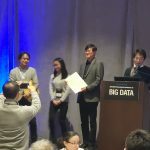 Rose Yu, who is starting as an assistant professor at Northeastern University in the fall, received awards for Best Dissertation where she created algorithms for a real-time prediction on a Large-scale spatiotemporal data. This award was through a competition within the Computer Science department first, where she ranked first to the top and then across all the Department of the USC Viterbi School of Engineering, where she was selected in best top four. 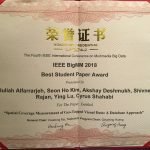 In addition, our Ph.D. candidate Yaguang Li received awards for Best Research Assistant. His research focuses on using machine learning to improve transportation. His work has been applied to many important real-world problems including traffic forecasting, travel time estimation and vehicle routing. We extend to them our warmest congratulations and wish them success for the future! Bravo!